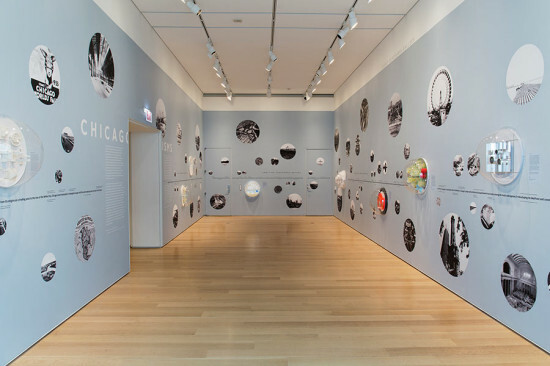 Chicagoisms is an ongoing exhibition at the Art Institute of Chicago that focuses on key historical principles—“Chicagoisms”—that went into creating and shaping the city that we know today. 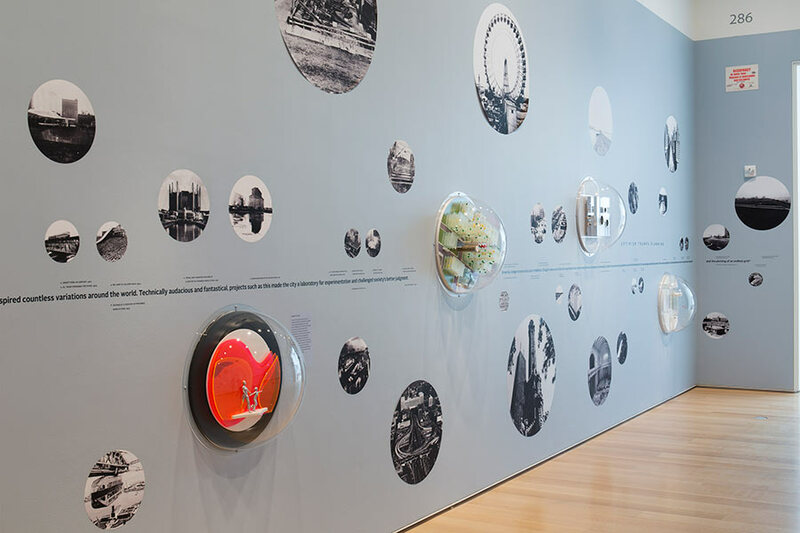 The exhibition was put together by architectural theorist Alexander Eisenschmidt and art historian Jonathan Mekinda working with designer Matt Wizinsky. The show features interpretations of five Chicagoisms from nine different architects—Bureau Spectacular, DOGMA, MVDRV, Organization for Permanent Modernity, PORT, Sam Jacob, UrbanLab, Weathers, and WW. 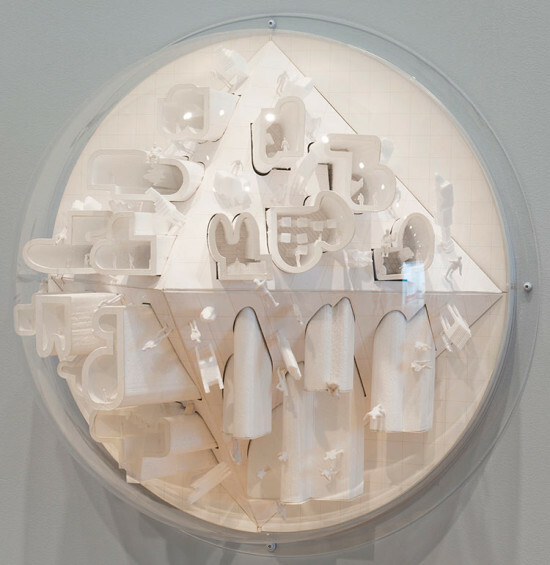 The architects paired architectural models with manifestos regarding their significance and present them in juxtaposition with historical black-and-white photographs. The result is a double vision showing both the contrast between the art and architecture of today’s Chicago and that of the past, as well as how historical factors continue to act as a catalyst for contemporary innovators.